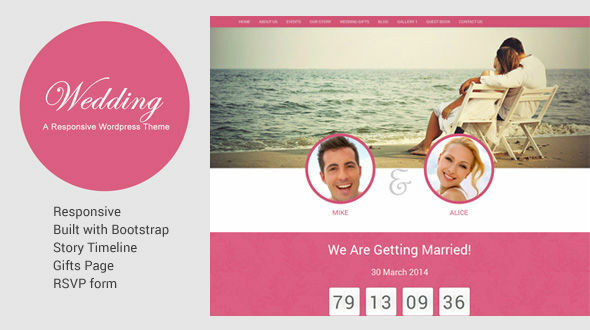 'Wedding' is a beautiful responsive wordpress theme for wedding. Built with Bootstrap it is compatile with the latest versions of WordPress. It is a single column website with all the facilities you need for your wedding website.